In the tradition of Jack London, Seth Kantner presents an Alaska far removed from majestic cliches of exotic travelogues and picture postcards. 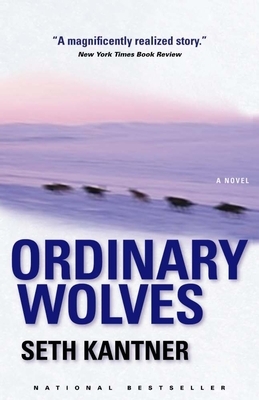 Kantner's vivid and poetic prose lets readers experience Cutuk Hawcly's life on the Alaskan plains through the character's own words feeling the pliers pinch of cold and hunkering in an igloo in blinding blizzards. Always in Cutuk's mind are his father Ab; the legendary hunter Enuk Wolfglove, and the wolves all living out lives on the unforgiving tundra. Jeered and pummeled by native children because he is white, Cutuk becomes a marginal participant in village life, caught between cultures. After an accident for which he is responsible, he faces a decision that could radically change his life. Like his young hero, Seth Kantner grew up in a sod igloo in the Alaska, and his experiences of wearing mukluks before they were fashionable, eating boiled caribou pelvis, and communing with the native tribes add depth and power to this acclaimed narrative.